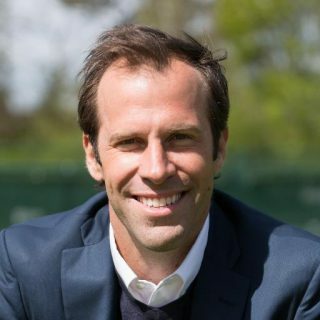 Bio: Greg Rusedski was born in Montréal, Québec, Canada. He is an ex-professional tennis player. Greg reached the singles final of the US Open in 1997, shortly thereafter reaching his career high rank of World No. 4. He also won the BBC Sports Personality of the Year Award and the ITV Sports Champion of the Year Award. Greg has an active media career, having written columns for 'The Daily Mirror' and 'The Daily Telegraph'. He also works for the television channel British Eurosport providing analysis during the station's coverage of the Australian Open. He provides commentary and analysis for Sky Sports for their coverage of the US Open and ATP World Tour Events, and for the BBC's coverage of Wimbledon. He has appeared in an episode of Agatha Christie's Marple as a tennis player. In 2008, he appeared as a contestant on the reality TV shows 'Dancing On Ice' and 'Beat the Star'. He has also appeared in 'dictionary corner' on 'Countdown', Channel 4. Description: Gregs has a soft Canadian accent, his voice ranges from friendly, conversational and warm in tone to authoritative and engaging.